Isn't this time of year the best!! The weather is finally starting to cool down and the food is so comforting. Cinnamon Rolls are total comfort food and by using Rhodes Frozen Cinnamon Rolls, it's easy to make comfort food. Halloween is my favorite and it will be here in a few more weeks. 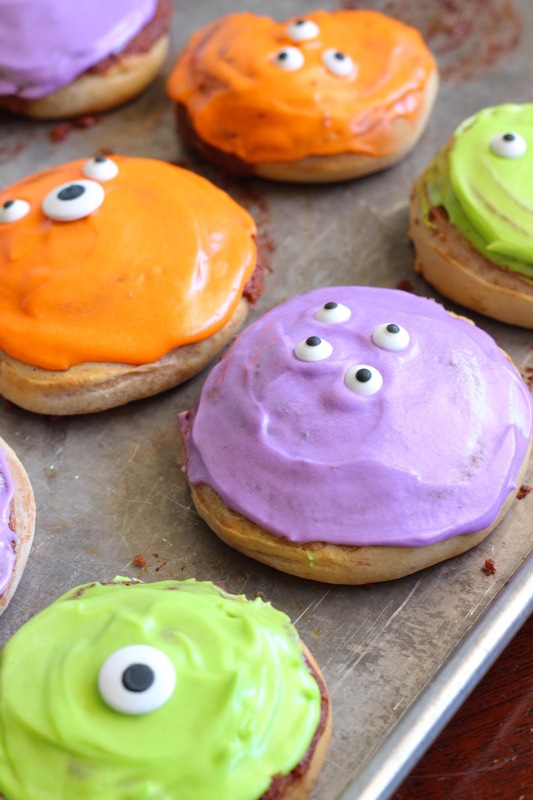 I try to make some kind of fun Halloween treat each year and this year I turned cinnamon rolls into monsters with bright colored icing, candy eyeballs and squiggly mouths. 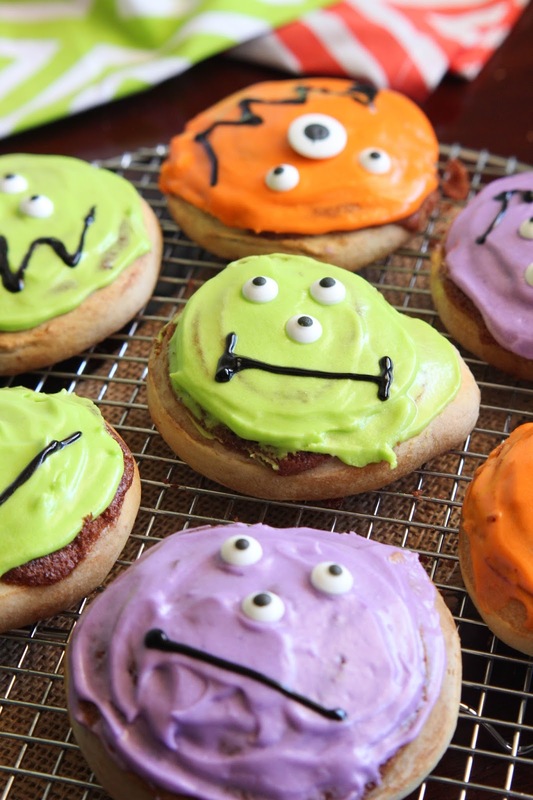 This is such a fun recipe for kids. They love to make them and they love to eat them. First, bake your cinnamon rolls and allow them to cool. Then, divide the cream cheese icing that comes with the rolls into three small bowls. 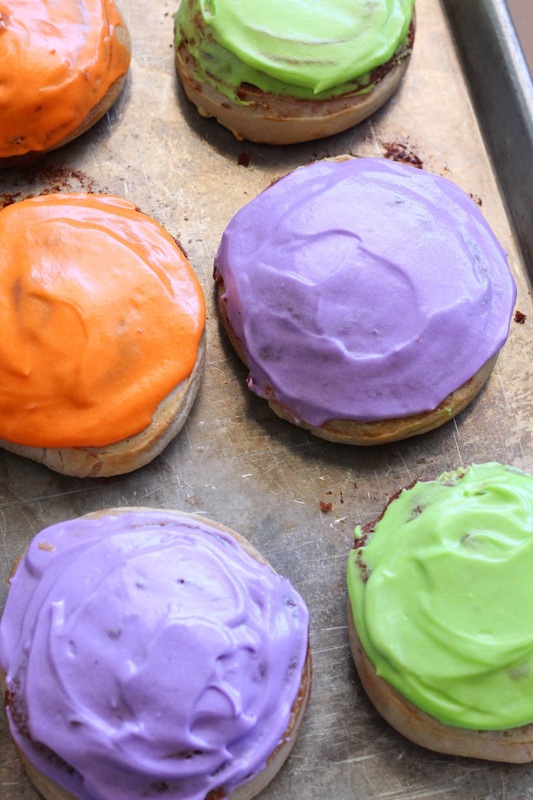 Color each icing with desired color. I used purple, orange and green. You will also need some candy eyeballs and a squeeze tube of black decorating gel. Both the candy eyeballs and the tube of black gel can be found at your local craft store or ordered online. 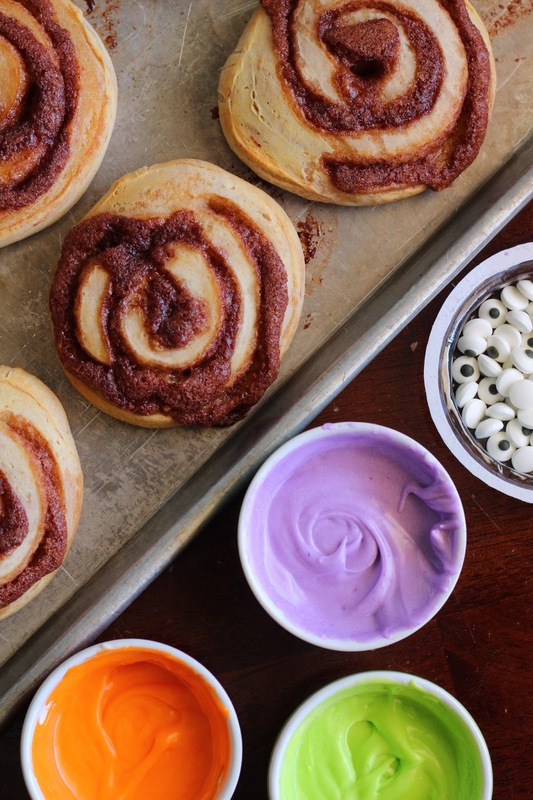 Spread colored icing over each cooled cinnamon roll. Top with candy eyeballs. You can do one large eyeball, multiple small eyeballs or whatever you prefer. Then, take your black gel and draw a mouth in whatever pattern you desire. That's it! So easy. 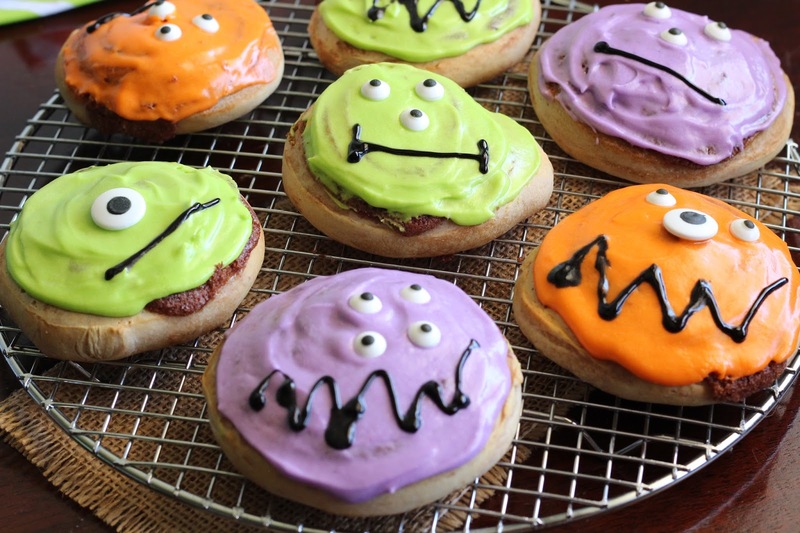 I am sharing this amazing recipe over at Rhodes Kids Baking Blog today. Click HERE to get this delicious RECIPE. This post is sponsored by Rhodes Bread. All opinions are my own and I have always been a fan of Rhodes Rolls. Thanks for allowing me to work with the brands that I love. Hi Jenn, love this. Would you like to share this with the other participants in Food on Friday over at Carole's Chatter? I have a weekly link up party – each week there is a different ingredient or theme. The current theme is Holiday Treats.